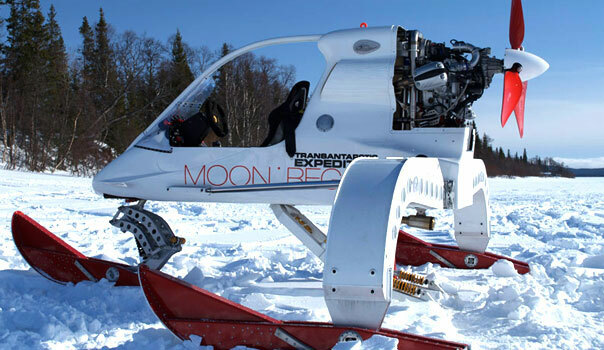 Good news: two new kinds of vehicle that can traverse ice sheets and do science. Bad news: science funded by private money may not necessarily give you news you need but don’t want. Land-based crossings of the whole Antarctic continent have only been achieved twice. Both expeditions took many months because of the terrain and the type of vehicles used. The Moon Regan Transantarctic Expedition will use three vehicles: the Winston Wong Bio-Inspired Ice Vehicle (BIV) and two six-wheel drive Science Support Vehicles (SSVs) which will act as mobile laboratories. Ground-penetrating radar will test the ice for dangerous crevasses ahead and help keep the Expedition safe.